ROCHESTER, New York -- A video game that allowed players to zap marching aliens with dot lasers and another that gave them flamethrowers and put them in the driver's seat in a violent 3-D world are among six games inducted into the World Video Game Hall of Fame. "Space Invaders" and "Grand Theft Auto III," along with "The Oregon Trail," "Sonic the Hedgehog," "The Legend of Zelda" and "The Sims," were honored Thursday for their influence on gaming and pop culture at the hall inside The Strong museum in Rochester. "Space Invaders" wasn't the first shooter game when it was introduced in Japan in 1978, but it spurred many imitators and a craze for arcade games, said Jeremy Saucier, assistant director of The Strong's International Center for the History of Electronic Games. 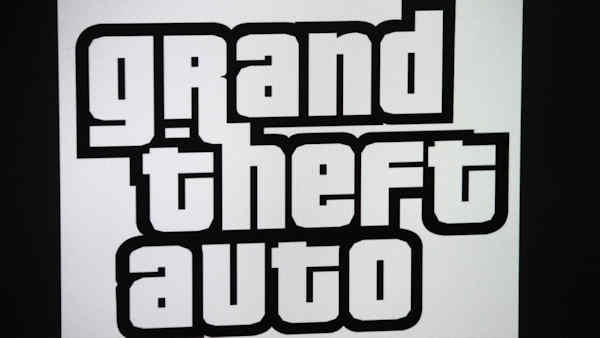 A virtual universe away, "Grand Theft Auto III" armed players with flamethrowers and assault rifles. "By providing players with a license to do virtually anything they wanted to do on foot or behind the wheel, 'Grand Theft Auto III' renewed debates about the role of games and violence in society while it signaled video games aren't just for kids," Saucier said. The title sold 14.5 million copies by 2008. The hall of fame inductees were chosen from among 15 finalists culled from thousands of nominations from around the world. Contenders that missed the final cut were: "John Madden Football," "Elite," "Final Fantasy," "Minecraft," "Nurburgring," "Pokemon Red and Green," "Sid Meier's Civilization," "Street Fighter II" and "Tomb Raider." The Strong, which also houses the National Toy Hall of Fame, opened the World Video Game Hall of Fame last year to recognize electronic games of all types - arcade, console, computer, hand-held and mobile. To get in, games must have had sustained popularity and influenced the video game industry or society. The first 3-D open-ended game that let players control the action became a model for the "sandbox-style" games that followed. But the flamethrowers and automatic weapons that were part of the action in the 2001 best seller fed worries about the influence of video game violence. The high score display at the top of "Space Invaders" quickly became a standard feature in arcade games. In 1980, the game broke free from the arcade and entered the home console market to become the Atari 2600's most popular game. "The Oregon Trail" was developed by three student teachers in 1971 and gave many players their first introduction to computers. It was designed to teach Minnesota schoolchildren American history by making them settlers heading west in covered wagons toward the Pacific coast. Jon-Paul Dyson, director of The Strong's International Center for the History of Electronic games, said "The Oregon Trail" pioneered the valuable blend of learning and play. "Sonic the Hedgehog" was Sega's answer to Nintendo's Mario character, and was launched in 1991. It remains the best-selling Sega Genesis game of all time and has inspired more than 20 additional games and spin-offs, as well as a television show and comic book, said Strong Associate Curator Shannon Symonds. It also inspired the first video game-themed balloon in Macy's Thanksgiving Day parade. "The Legend of Zelda" of 1986 also spun off sequels, comic books and a television series. Inspired by creator Shigeru Miyamoto's childhood expeditions through woods and caves, it popularized non-linear open-world exploration. "The Sims" provided a digital dollhouse setting for endless domestic dramas and gave players flexibility to tell stories in an open-ended environment. Its nearly 200 million sales in 60 countries and more than 20 languages following its 2000 release make it the best-selling PC game franchise ever.